The IBA world tour has been in full effect. With the Peru event finishing and HUBB coming out with the win! The next contest which is in Chile is going on right now! I have been watching all the hightlight on their youtube page since I am in OZ. The contest organizers brought their A game and the set up looks amazing! You can watch the event live in the next few days on the IBA world tour website. 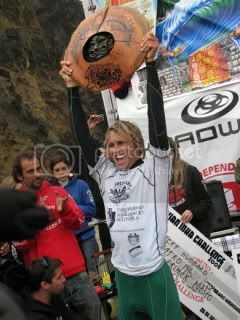 Wave Rebel team mate Guilherme Tamega won the event last year in huge wave conditions. Him and Hubb have had some crazy battles in this event so it is going to be exciting to see who is going to win this year! Here is the latest clip from the contest. Check out Michael Novys invert so sick! Click here to visit the contest website. I can't wait to compete in this event in the future looks AMAZING!